After a brutal winter for most of us in the northern hemisphere, we’re glad to see the last of the winter sky. This was the scene on Tuesday night, April 29 as the last of the winter sky descended into the evening twilight. 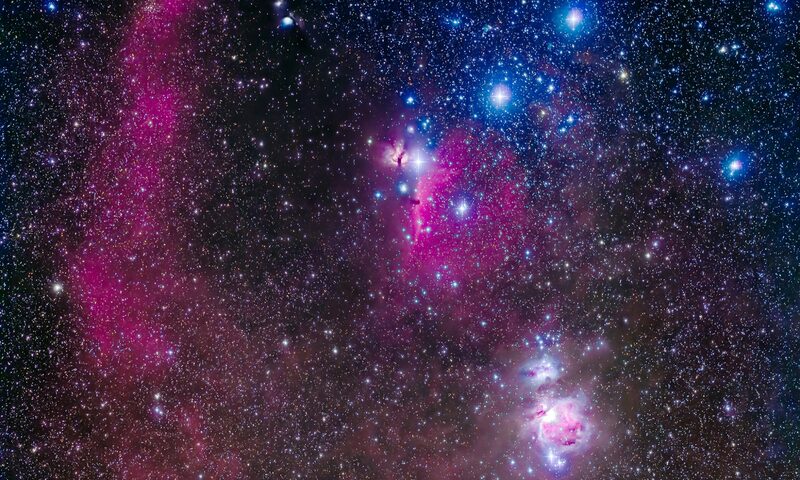 Here, Orion (left of centre) sets into the western sky, next to the gossamer glow of the zodiacal light (right of centre). The stars of Taurus sit amid the zodiacal light, with the Pleiades just about to set behind the ridge. Sirius, the sky’s brightest star, shines at far left. 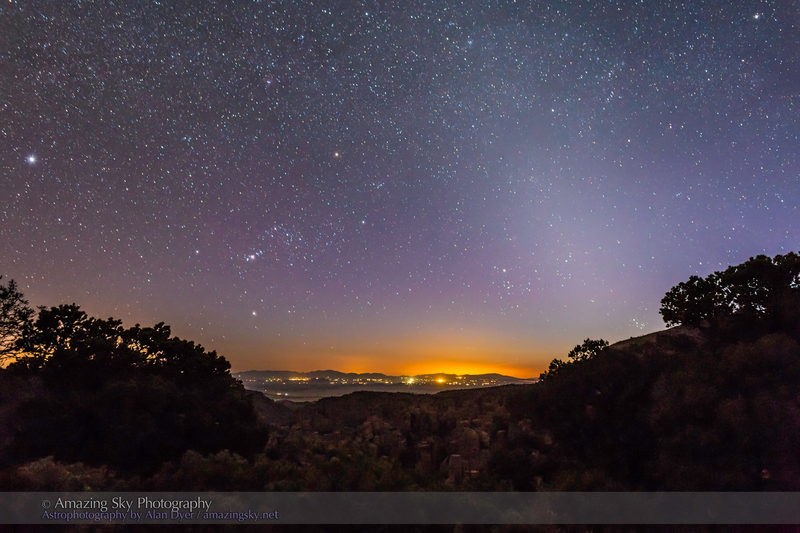 The zodiacal light is the glow of sunlight reflecting off cometary dust particles in the inner solar system. It is a glow from interplanetary space, not from our atmosphere. Spring is the best time to see it in the evening sky, no matter your hemisphere. It also helps to be in the desert of the U.S. Southwest! I took this parting shot of the winter sky from a favourite observing haunt from years’ past, Massai Point, at 6800 feet altitude in the Chiricahua Mountains of southeastern Arizona. The sky was perfectly clear and the night warm and windless. I’m back in Arizona and New Mexico for a few days, checking out accommodations for a long-term stay next winter, so I won’t have to endure the snow and cold that plagued us last winter. Good bye winter sky! Good bye winter!